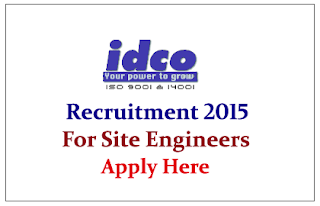 Odisha Industrial Infrastructure Development Corporation (IDCO)- Paradeep Plastic Park Limited is recruiting for the post of Business Development Manager and Site Engineer for the year 2015. Eligible Candidates can apply on or before 10th July 2015. Company Profile: The Odisha Industrial Infrastructure Development Corporation (IDCO) was established in the year 1981 with the specific objective of creating infrastructure facilities in the identified Industrial Estate/Areas for rapid and orderly establishment and growth of Industries, trade and commerce. It has been declared as the Nodal Agency for providing industrial infrastructure in the State of Odisha. How to Apply: Interested and eligible candidate can send their filled application form with required document to below mentioned address on or before 10.07.2015. For more details kindly check official notification.